click your web browsers "back" button to return to this page. Foam Roofing System with 100% Acrylic White Reflective Coating over a concrete deck. 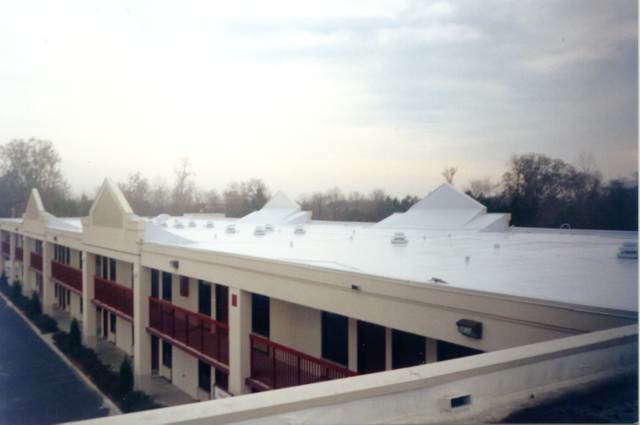 Foam Roofing System over an existing BUR membrane. 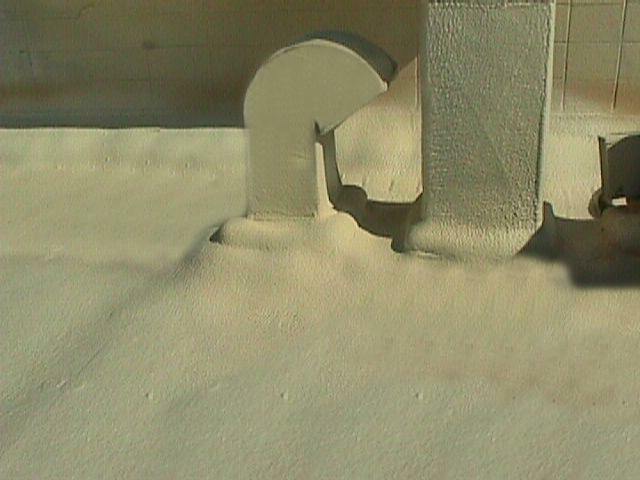 Note the fat "cant" created around the penetration due to lack of goose-neck vent flashing normally incorporated. Foam Roofing over existing BUR membrane. 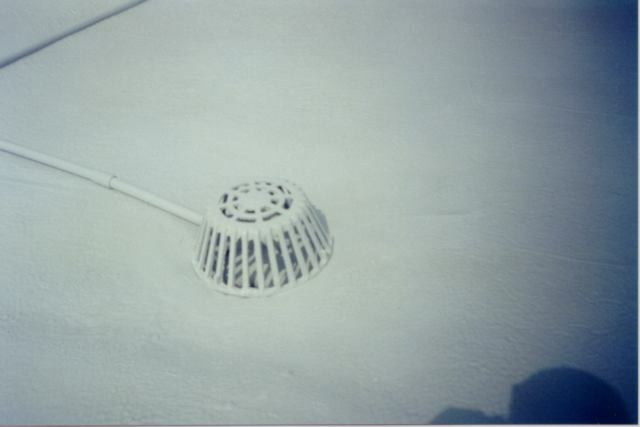 Note SPF was used to completely seal the existing deck drains when replacement was not an option. 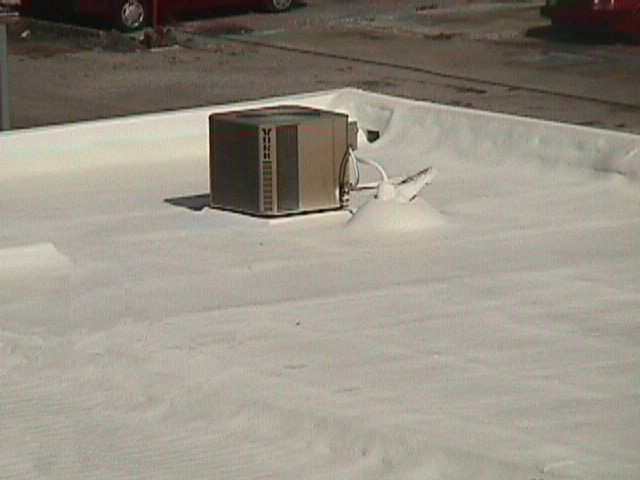 Foam Roofing is "self-flashing" and completely eliminates standing water around a penetration when installed correctly. 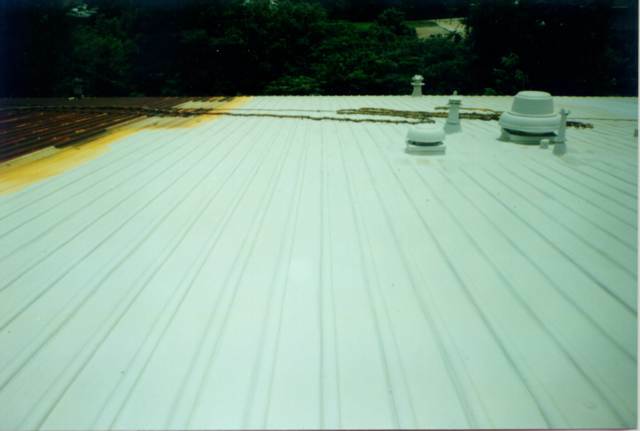 Foam Roof System over existing R-Panel Metal Roof. Notice the profile of the existing system is still visable even with 1.0" of sprayfoam installed. 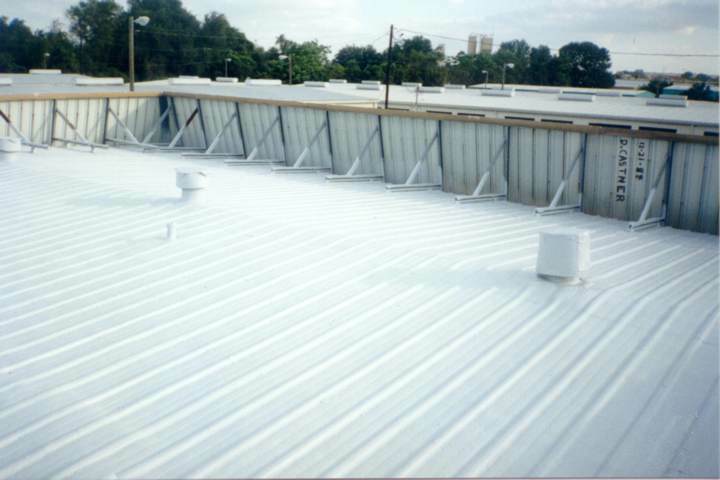 Foam Roofing System over exisitng standing seam metal. Notice the profile of the existing roof system is still visable even with 3.0" of Spray Foam installed. Spray Foam Closed-Cell Insulation installed inside a quonset style metal building, reduced movement, stopped air and moisture vapor transmission, and reduced exterior noise levels while seamlessly insulating the entire structure. "The application of sprayed foam to steel deck and plywood deck demonstrated uplift load resistance up to the capacity of the test equipment to develop load (160-165 psf) without any sign of delamination or other damage to the foam."